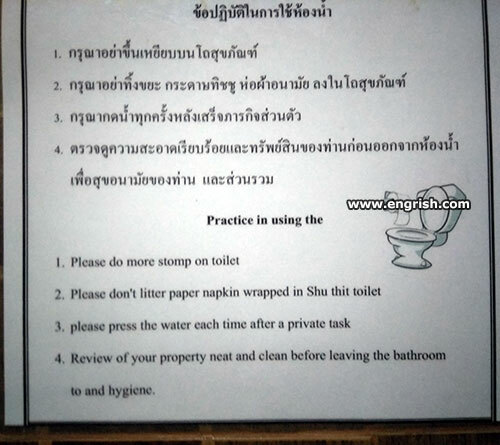 The instruction category is not for everyone – none of the Engrish you see here will make Engrish of the Week. 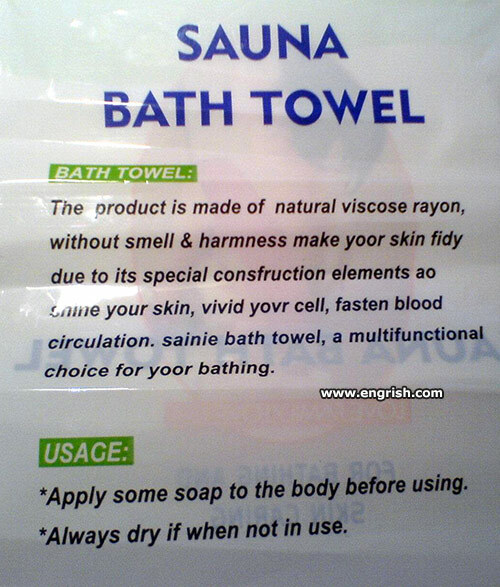 There is a demand for it however, since Engrish.com has received hundreds of submissions. 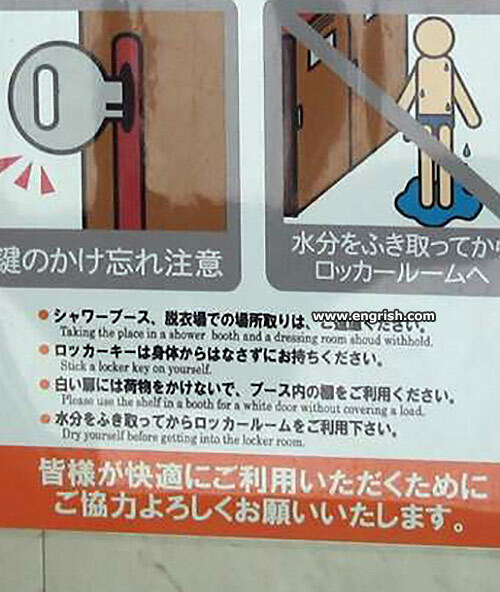 Here are some of the better ones from Japan and China. These bowls are made for stomping! Photo courtesy of Morgan Jones. Photo courtesy of Zasha Weinberg. 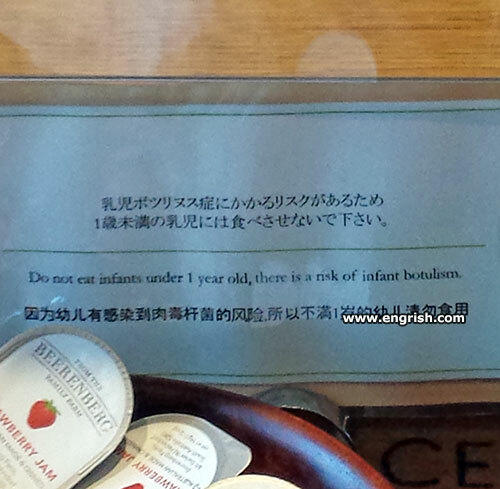 Found at breakfast buffet in Tokyo (warning for honey). 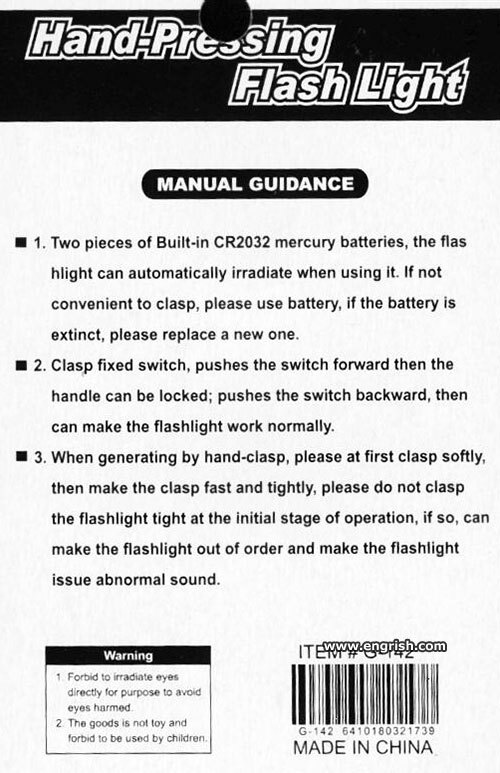 Clasp too much and extinction occurs. Photo courtesy of Cagey G.
If when harmness, fasten fidy. Photo courtesy of Arpa Joakim.